The latest version of the Invoices Add-on for iThemes Exchange (v1.1.0) includes a few new enhancements to address your feature requests on the Exchange Public Roadmap. 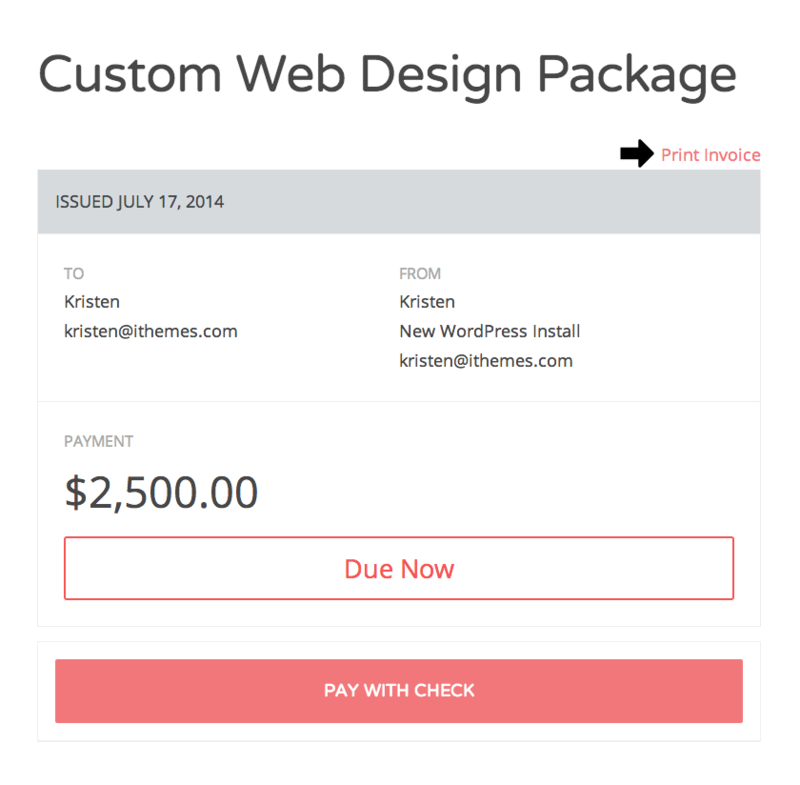 Published invoices will now include a “Print Invoice” link on the product page so your clients can easily generate a printer-friendly version of the invoice. When this link is clicked, it will automatically generate a version of the invoice that can be printed from within the browser. 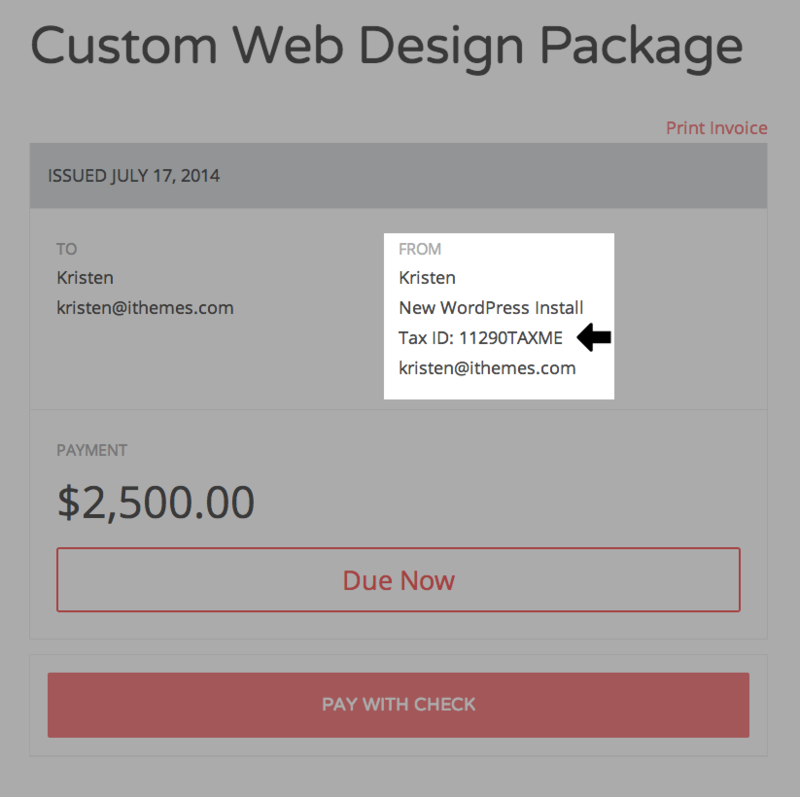 You can now include the invoice number and PO number in your invoice emails. 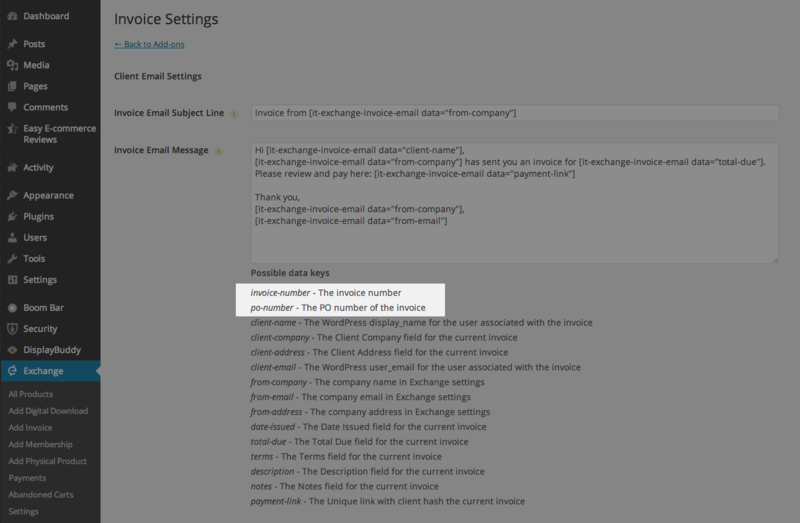 To start using the new shortcodes, visit Exchange > Add-ons and click the settings gear next to Invoices. 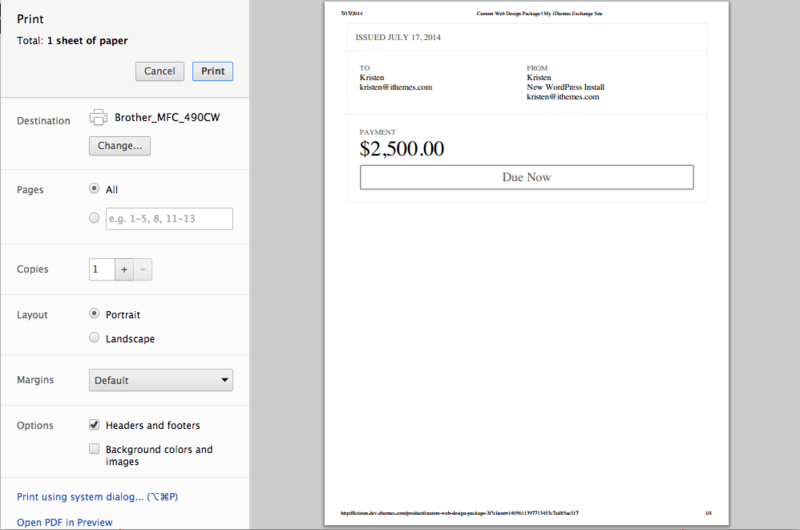 From the Invoices Settings page, you’ll see the Invoice email editor. At the bottom of this page, you’ll see a list of possible data keys that can be inserted into shortcodes in your invoice emails, including invoice-number and po-number. 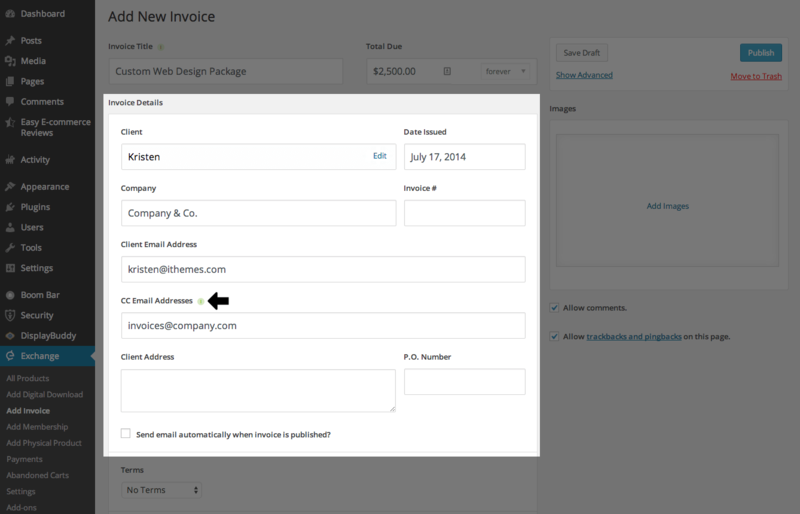 In addition to the default client email address, you can now add an additional CC Email Address when creating an invoice. This might be helpful if you’re sending the invoice directly to a client and their accounts payable department. Some accounts payable departments require your tax ID before they can process payments. With the v1.1.0 update, your tax ID will be displayed on the invoice if it has a value in your Exchange settings. 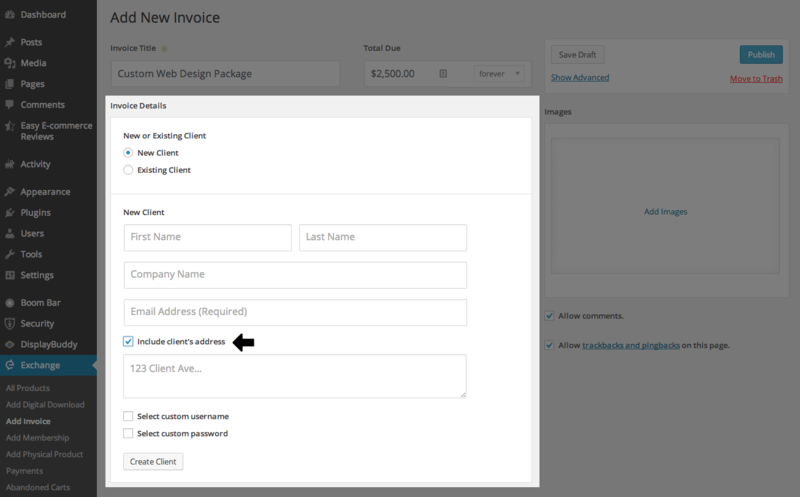 When setting up a new invoice with a new client, you now have the option of including the client’s address. All current Invoices Add-on, Pro Pack, Plugin Suite and Toolkit customers will find the v1.1.0 update available from the WordPress dashboard (for licensed sites) and the Sync Dashboard or as a direct download from the iThemes Member Panel.